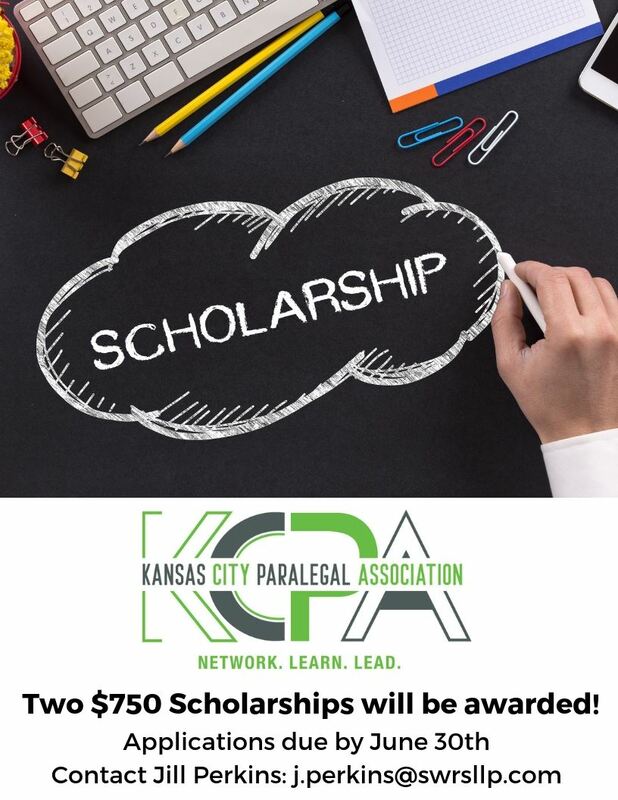 The KANSAS CITY PARALEGAL ASSOCIATION (KCPA) is pleased to announce the offer of two $750 scholarships for the 2019 - 2020 academic year. The recipients of the scholarships will be announced at the Luncheon in July and in the August issue of the Paraview, KCPA's monthly, on-line newsletter viewable to members at www.kcparalegals.org. Applicants must have completed one semester in a paralegal education program and maintain a "B" average. Selection will be based upon scholastic excellence, participation in campus and paralegal program leadership activities, community service, and review of a writing sample. Membership in KCPA is not a determining factor. The award of the scholarship will be made payable to the scholarship recipient's paralegal education institution to fund the recipient's pursuit of a paralegal education.